January 27 – 61-year-old Nelson A. Watson shoots his wife Alice in the head, then, after calling police to report his crime, commits suicide with the same shotgun in the basement of his home at 3326 Longbranch Drive in Falls Church. January 27 – George H. Alexander is appointed to the newly-created position of Director of Fire and Rescue Services by the Fairfax County Board of Supervisors. February 5 – 24-year-old Edward A. Ellis is killed in Reston when he loses control of his car and hits a tree on Hunter Mill Road. February 17 – Following numerous discrepancies in witness testimony, Judge Barnard F. Jennings dismisses the murder charge against Estel E. Rohrbaugh, accused of fatally shooting Carson Kennedy at a Lorton gas station on December 10, 1970. February 18 – 36-year-old James E. Teller shoots himself in the head with a .38 caliber pistol while playing Russian roulette at the Lorton Shell Station at 8015 Lorton Road in Lorton. February 22 – Forced indoors by foul weather, the groundbreaking ceremony for the construction of the Springfield Mall is held at the Springfield Country Club. March 12 – 22-year-old Deborah E. Sampson gives birth to a baby boy, who she the suffocates with a plastic bag, in her apartment at 5905 Noblestown Road in Springfield. Later that day, Sampson disposes of the infant's corpse in a trash chute in the Riverside Park Apartments in Huntington, where she had briefly stayed before moving to Springfield. March 19 – Fairfax Circuit Court Judge Albert V. Bryan, Jr. sentences 27-year-old motorcycle enthusiast Ronald W. Pryor to 20 years in prison for his abduction and LSD-inspired murder of 22-year-old Marine Corporal Walley L. Gaddis, Jr. in Lorton on May 29, 1969. March 20 – The 740-acre Pohick Bay Regional Park opens. March 24 – 20-year-old Paul S. Jones is convicted of first-degree murder for hogtying and stabbing his 58-year-old adoptive mother Ethel at the family house in Lincolnia on March 10, 1970. April 10 – 17-year-old William L. Daly is shot to death when he attempts to prevent the sexual assault of his 16-year-old date in a wooded area near the George Washington Parkway in Alexandria. April 12 – A student starts a fire at Franklin Sherman Elementary School in McLean that causes $175,000 in damage. April 20 – 51-year-old Anne M. Roscoe is killed in a head-on collision with 48-year-old Mary Doyle on Westmoreland Street near Youngblood Street in McLean. May 11 – Richard A. King is appointed deputy chief of the Fairfax County Police Department. May 14 – Judge Arthur W. Sinclair appoints Clifton attorney Richard H. Lewis to replace Springfield District Supervisor Donald R. Bowman. May 31 – 14-year-old Gerald P. Arnold drowns while swimming in Lake Barcroft. June 4 – The groundbreaking ceremony for the new McLean District Station is held. July 5 – 41-year-old Lieutenant Commander William F. Rolland, Sr. and his 19-year-old son Bud are shot to death to settle a traffic dispute at the intersection of Columbia Pike and Sleepy Hollow Road in Annandale by 27-year-old Roger W. Whitney. July 7 – 53-year-old Taylor M. Williams becomes Fairfax County Public Schools' first black superintendent when he is appointed superintendent for Area I schools. July 25 – 37-year-old construction worker Daniel Carter, Jr. fatally wounds his 6-year-old daughter Amy when he settles an argument with his 36-year-old wife Pauline by shooting her at their home at 8205 Watson Street in McLean. The bullet glances off Pauline's wrist and strikes Amy in the chest. Both Amy and her mother are taken to Fairfax Hospital, where Amy is pronounced dead. August 27 – 23-year-old off-duty Fairfax County Police officer Garfield Bailey mortally wounds himself when he shoots himself in the head with his service revolver at his home at 4828 S. 29th Street in Arlington. Bailey, who had been sworn in as a FCPD officer on August 7, had apparently been drinking when he pulled the trigger of his revolver with a single bullet in the chamber. Bailey is taken to Arlington Hospital, where he dies two hours later. The shooting is reported as accidental, although the circumstances strongly imply that Officer Bailey was playing Russian roulette with his pistol when he shot himself. September 1 – 19-year-old Steven A. Motteler is unintentionally shot in the head and mortally wounded by his brother, 21-year-old Donald L. Motteler, in his apartment at 1540 Northgate Square in Reston. The younger Motteler is taken to the Fairfax Hospital, where he is pronounced dead. September 17 – Judge Percy Thornton sentences 20-year-old Paul S. Jones to 50 years in prison for murdering his adoptive mother Ethel in Lincolnia on March 12, 1970. September 23 – Judge Lewis Morris orders 20-year-old Laurence C. Miller to begin serving his four-year prison sentence for possessing .001 ounces of hashish. September 30 – 27-year-old Wilbur Johnson is convicted of second-degree murder and sentenced to five years in prison by Judge Lewis Morris for shooting 66-year-old Okey C. Blagg in the head during a botched burglary in Springfield on August 1, 1970. October 3 – Vandals deliberately set two fires in the library and one of the learning centers at Fort Hunt Elementary School in Alexandria that cause nearly $500,000 worth of damage. November 26 – The Fairfax County Police Department's new McLean District Station opens. December 4 – 58-year-old Leo G. Miller and 53-year-old Cleveland Harper are killed when they are struck by 40-year-old James H. Crist, Jr. on Route 7 near the Fairfax County Line in Herndon. December 12 – 24-year-old Roy D. Lewis is fatally stabbed during a fight in the Lorton Reformatory maximum security dining hall. Hall is taken to the hospital, where he dies an hour later. There were 15 murders and other homicides in Fairfax County in 1971. ↑ Ringle, Ken. "Fairfax Deaths Called Murder-Suicide." The Washington Post, Times Herald (1959-1973): 1. Jan 28 1971. ProQuest. Web. 18 Jan. 2014. ↑ Bredemeier, Kenneth. "Fairfax County Names Fire, Rescue Director." The Washington Post, Times Herald (1959-1973): 1. Jan 28 1971. ProQuest Historical Newspapers: The Washington Post (1877-1995). Web. 26 Oct. 2012. ↑ "Reston Man Dies As Car Hits Tree." The Washington Post, Times Herald (1959-1973): 1. Feb 06 1971. ProQuest Historical Newspapers: The Washington Post (1877-1996). Web. 15 Nov. 2012. ↑ "Slaying Case Thrown Out." Evening Star, 18 Feb. 1971, Three Star NIGHT FINAL, p. 20. NewsBank. Accessed 31 Dec. 2017. ↑ "'Russian Roulette' Blamed in Death Of County Man." Evening Star, 18 Feb. 1971, Three Star NIGHT FINAL, p. 20. NewsBank. Accessed 31 Dec. 2017. ↑ Jones, William H. "Work Starts on Retail Projects." The Washington Post, Times Herald (1959-1973): 1. Feb 23 1971. ProQuest. Web. 18 Aug. 2014. ↑ "Day-Old Baby's Body found in Bale of Trash." The Washington Post, Times Herald (1959-1973): 1. Mar 13 1971. ProQuest. Web. 9 Aug. 2017. ↑ "Clerk Pleads Guilty in Death of Infant." The Washington Post, Times Herald (1959-1973): 1. Dec 14 1971. ProQuest. Web. 9 Aug. 2017. ↑ "Killer of Marine Gets 20 Years." The Washington Post, Times Herald (1959-1973): 1. Mar 21 1971. ProQuest. Web. 24 Aug. 2016. ↑ Graves, Aubrey. "Mason Neck can Handle Only Small Boats on Ramp." The Washington Post, Times Herald (1959-1973): 1. Apr 04 1971. ProQuest. Web. 15 Mar. 2017. ↑ Curry, William N. "Youth is Guilty of Stabbing Mother to Death in Lincolnia." The Washington Post, Times Herald (1959-1973): 1. Mar 25 1971. ProQuest. Web. 11 Mar. 2017. ↑ Hodge, Michael. "Alexandria Youth Shot to Death, Girl Companion, 16, Wounded." The Washington Post, Times Herald (1959-1973): 1. Apr 12 1971. ProQuest. Web. 21 June 2016. ↑ Bredemeier, Kenneth. "Youth's Killer seen Tied to Other Crimes." The Washington Post, Times Herald (1959-1973): 2. Apr 13 1971.ProQuest. Web. 21 June 2016. ↑ Bredemeier, Kenneth. "1,100 Attend Mass for Youth Slain by Attacker in Fairfax." The Washington Post, Times Herald (1959-1973): 1. Apr 15 1971. ProQuest. Web. 21 June 2016. ↑ Chen, Edwin. "Fairfax's Arson Problem" Evening Star, 7 Aug. 1972, NIGHT FINAL, p. 19. NewsBank. Accessed 10 Jan. 2018. ↑ "Woman Is Killed In Head-on Crash. "Evening Star, 21 Apr. 1971, Three Star NIGHT FINAL, p. 28. NewsBank. Accessed 29 Sep. 2018. ↑ Taylor, Ronald. "King Named Police Chief by Fairfax." The Washington Post (1974-Current file): 2. Dec 03 1974. ProQuest. Web. 4 Jan. 2018. 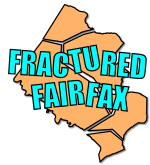 ↑ "Fairfax Democrats Oppose Lewis' Appointment to Board. "Evening Star, 16 May 1971, Four Star, p. 33. NewsBank. Accessed 3 Jan. 2018. ↑ Bowman, LaBarbara "Two Boys Drown in Anacostia." The Washington Post, Times Herald (1959-1973): 1. Jun 01 1971. ProQuest. Web. 15 July 2016 . ↑ Courtney, Daniel P. History of the Fairfax County Police Department, 1921-1990. Fairfax, VA: History4All, 2009. Print. ↑ Mathews, Jay. "The Rolland Murders: 4 Years Later." The Washington Post (1974-Current file): A1. ProQuest Historical Newspapers: The Washington Post (1877-1995). Jul 05 1975. Web. 7 Mar. 2012. ↑ Associated Press. "Blacks Are Named to School Posts." The Free Lance-Star [Fredericksburg, Virginia] 8 July 1971: 3. Google News. Web. 9 Sept. 2016. ↑ "McLean Girl Slain, Father is Charged." The Washington Post, Times Herald (1959-1973): 1. Jul 27 1971. ProQuest. Web. 26 Jan. 2017. ↑ "Policeman's Death Ruled an Accident." The Washington Post, Times Herald (1959-1973): B1. Aug 28 1971. ProQuest Historical Newspapers: The Washington Post (1877-1995). Web. 15 Aug. 2012. ↑ 25.0 25.1 "Reston Youth Shot, Killed in Apartment." The Washington Post, Times Herald (1959-1973): 1. Sep 02 1971. ProQuest. Web. 20 Dec. 2013. ↑ "PoliceSay Brother Shot Reston Youth." The Washington Post, Times Herald (1959-1973): 1. Sep 03 1971. ProQuest. Web. 20 Dec. 2013. ↑ Whitaker, Joseph D. "Convicted of Slaying Mother, Youth Sentenced to 50 Years." The Washington Post, Times Herald (1959-1973): 1. Sep 18 1971. ProQuest. Web. 24 July 2016. ↑ "Fairfax Youth Must Start Drug Term" Evening Star, 24 Sep. 1971, Four Star NIGHT FINAL, p. 18. NewsBank. Accessed 3 Jan. 2018. ↑ "Va. Trucker Guilty in '70 Slaying." The Washington Post, Times Herald (1959-1973): 1. Oct 01 1971. ProQuest. Web. 27 Jan. 2018. ↑ "McLean Man Convicted In Plant Guard's Slaying." Evening Star, 1 Oct. 1971, Four Star NIGHT FINAL, p. 45. NewsBank. Accessed 27 Jan. 2018. ↑ "Fairfax School Hit by $300,000 Fire." The Washington Post, Times Herald (1959-1973): 1. Oct 04 1971. ProQuest. Web. 10 Jan. 2018 . ↑ Bredemeier, Kenneth. "School Fire is Blamed on 4 Juveniles." The Washington Post, Times Herald (1959-1973): 2. Oct 05 1971. ProQuest. Web. 10 Jan. 2018. ↑ "2 Killed in Hit-Run on Rte. 7." The Washington Post, Times Herald (1959-1973): 1. Dec 05 1971. ProQuest. Web. 15 Jan. 2018. ↑ "Two Traffic Deaths Laid to Va. Man." The Washington Post, Times Herald (1959-1973): 1. Jan 25 1972. ProQuest. Web. 15 Jan. 2018. ↑ "Driver Charged With Two Deaths In Fairfax Crash." Evening Star, 25 Jan. 1972, Four Star NIGHT FINAL, p. 20. NewsBank. Accessed 15 Jan. 2018. ↑ Woodward, Bob. "Man Stabbed to Death at Lorton." The Washington Post, Times Herald (1959-1973): 2. Dec 13 1971. ProQuest. Web. 6 Nov. 2016.